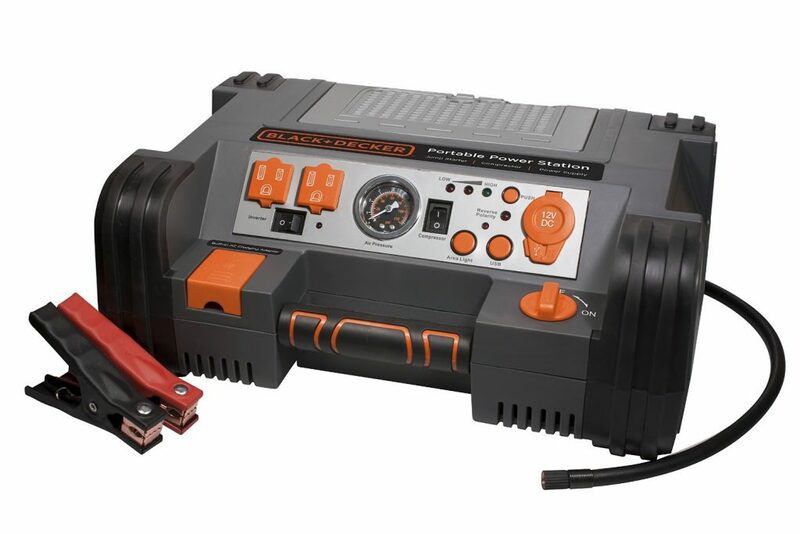 Now drive your car without any fear of its battery getting discharged, coz even if it does, all you need is a jump starter and you will be on your way again. It only needs to be charged and you can carry it along and use it to charge a dead battery when needed. Although particularly meant for cars, you can a jump starter it to charge smartphones, tablets etc. Read our review of the best jump starters 2019 to find out which are the best ones you can go for a hassle-free journey. You may also like to check out our review on the best ATV Tires. Sometimes all that your car needs is that push from a jump starter. And you need to make sure to give a good one. Compact and powerful, the lithium jump starters from Beatit are suited for giving that push to motorcycles, tractor, RV, cargo vans and mower. It is rated at 800 Amps, i.e, 14,400 Joules. 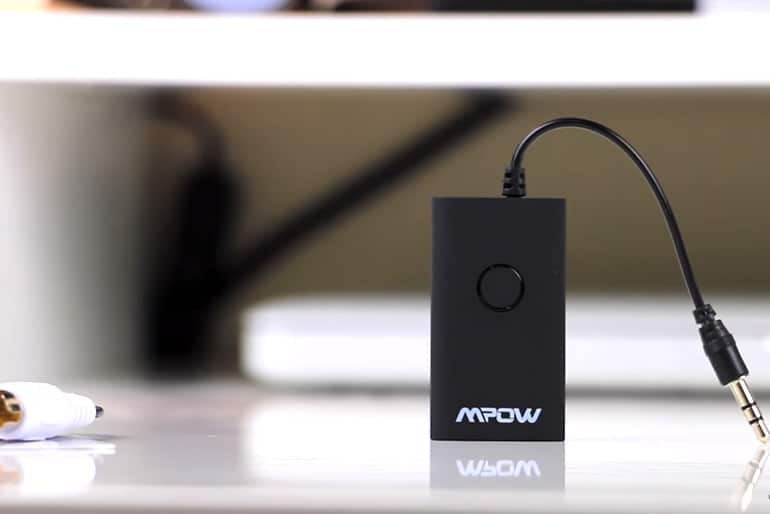 The dual USBs are capable of charging almost anything, as the power bank holds in 18,000 mAh. The spark proof technology and reverse polarity design keep the jumper cable safe, therefore safe use of the jumper is guaranteed. The jump starter can work in extreme temperatures ranging from -20 to 60 degree Celsius and carries certifications from FCC, CE, ROHS and battery booster UL for safety. The LCD display shows the status, modes and battery level in digital format. A built-in 100 Lumens backlight is available as well, in order to be used as a torch. A 2-year warranty and lifetime customer service is provided along with the assurance that this jump starter can start any dead battery within a few seconds and can be used for heavy-duty engines as well. Avoid the trouble of looking for another vehicle to jump start your vehicle. Black and Decker jump starter features a 12V DC plug that allows you to use any household electronics such as TV and microwave where you cannot access power such as when camping. And that is not all. The jump starter has USB ports handy for charging your other electronics such as phones and laptop. What’s more, you will no longer work in the dark when jump starting your car as the jump starter has a super-bright LED flashlight. Besides, your safety is a priority as the LED light helps to provide visibility to other motorists. The jump starter comes with a cable and clamp. Besides, it simple to use since you only need to connect the cable and clamp after which you switch on and off. Your safe it crucial. In the case of an improper battery connection, it lets out visual and sound alarms warning you of the reverse polarity. The jump starter is pretty simple to charge as it features an inbuilt charging system. Use any standard household extension cord and recharge till full. Besides, PPRH5B comes with a 120PSI air compressor that you can use to fill your tire as well as those of other equipment. No need to worry about moving on a flat tire. With the power to easily jump start vehicles with gas up to 6.5L or 5.2L in case of diesel engines, the jump starters from DBpower is rated at 600 A and has power storage of 18000 mAh.The product is compact enough to be kept in your glovebox easily. The smart USB port has the ability to charge your smartphones, laptops and other electronic devices in the fastest way as possible. The jumper cable is of high quality and the spray gold intelligent cables are immune to dangers from over current, over voltage, overload and overcharge situations. The LCD display shows the battery level and the inbuilt compass helps you to find your way through the wild, in case you get lost there. An integrated LED flashlight functions as a torch to help you find your way. A red light is also included as one of the 3 modes of the flashlight (high strobe and SOS) in order to used in cases of emergency. The package contains a 12V wall charger,12 V car charger and a user manual as well. An added bonus would include a 3-year warranty and customer support for the lifetime. 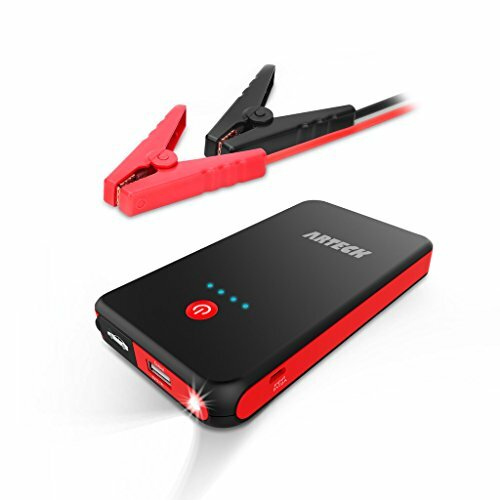 With a power capacity of 8000 mAh, the car jump starters from Arteck is also capable of charging phones, laptops, tablets and other devices with a speed of 2.1 Amps through the USB. The battery can recharge within 4 hours using the micro USB charging cable which is included with the package. 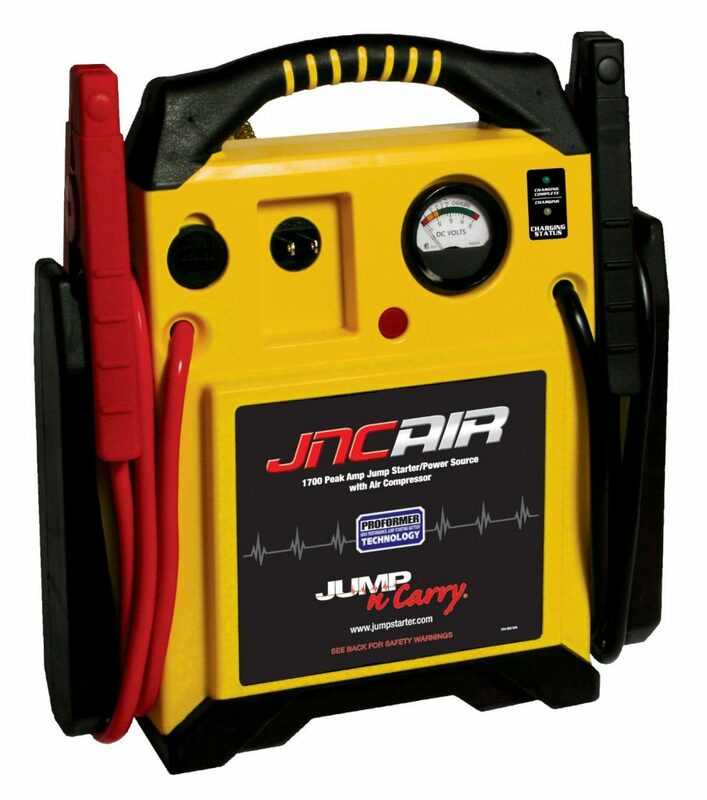 The car jump starter can support up to 2.5 L gasoline engines and has heavy built-in cables and has a peak current of 300 Amps. The circuitry, premium cells and safety features protect oneself and the devices from current surges and short circuits. The ultra-bright LED flashlight, SOS light and the strobe light are the additional features, with the SOS light lasting up to 120 hours. The package contains a micro USB charging cable, jumper clamps and a user manual. Coming along with them is a 2 years warranty with an extended customer service that lasts a lifetime. 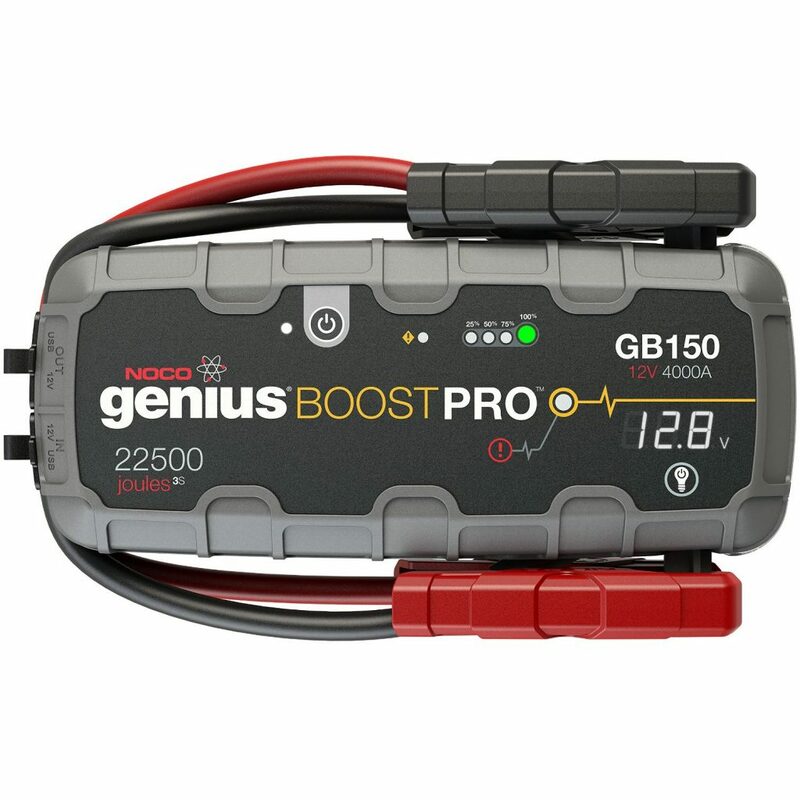 GB150 is yet another powerful jump starter that will revive your 12V dead battery in seconds. And you can do that for up to 80 times on a full charge battery. Rated at 4000 amps, the lithium starter is incredibly powerful. It works with 10.0L gas and diesel powered engines. The high amperage helps it to work not only in cars but also large trucks, commercial vehicles and more that have large engines. It is easy and safe to use for two reasons. First, when connecting to the terminals, it does not give out sparks like other jump starters. Secondly, it has reverse protection polarity. That means you if you happen to touch the clamps by accident or make an improper connection, you will still be safe. The jump starter features a 500-lumen ultra-bright LED flashlight with 7 light modes including SOS and Emergency Strobe. It can keep its charge for up to one year. Besides, you will no longer have your phone or any other electronic devices on little power. That is because it comes with a USB port for charging them on the go. 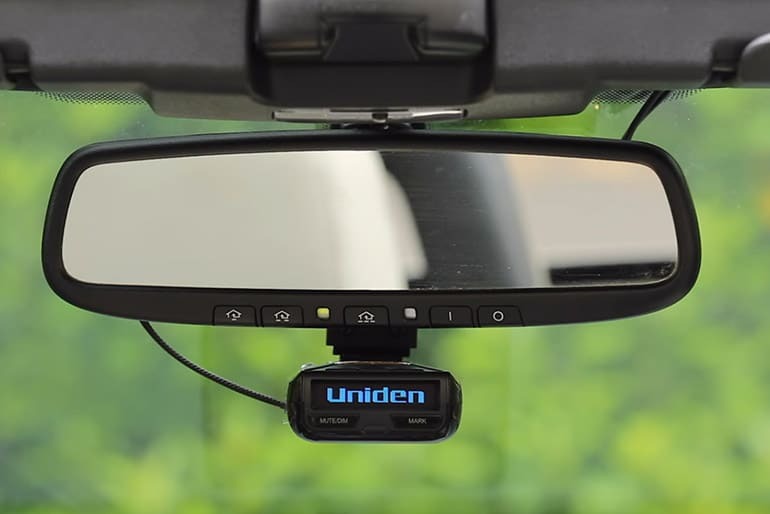 Also, it comes with a 12V port for recharging other large equipment such as inverters, tire pumps and more. Before jump starting your vehicle, it is ideal to know the voltage of your car battery so you can identify the root of the problem. GB150 jump starter comes with an inbuilt voltmeter that reads the voltage of your battery. For instance, in a situation where your battery reads 12V, it means that the issues may not be your battery. That can save you lots of time because you will jump right into testing for other problems. The package does not include a wall-wart AC adaptor, but the jump starter can charge from a 12V DC charge in the right in your car. Days, when we used to depend on roadside assistance, are long gone. You know how awkward it can look with you stranded there after your engine fails to start. It happens to anybody and in the most unlikely places. But with a jump starter, you no longer need to nag other motorists. Brightech SmartJump is a portable to allow you to carry and use whenever you have a dead battery. It is lightweight enough weighing only 14 ounces. Besides, due to its small size, you can pack it in the glove compartment. However, the size should not put you into thinking that it is not powerful. 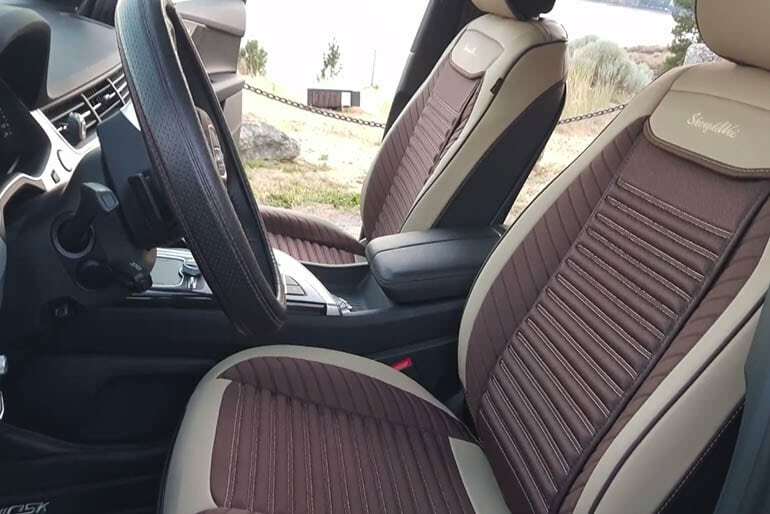 In fact, it is brings to life V6 and diesel engines. It works with 3L gas and petrol engines and also 2.5L diesel powered engines. And the best thing about this jump starter, it operates in the most extreme of the temperatures (-4 to 140 degrees F). What’s more, it comes with a durable and long lasting 37Wh lithium battery that has a 400amp peak. A manufacturer will offer a warranty on a product only when they are sure of the quality. And Brighttech Smart Jump is top quality and offers a 3-years warranty. Versatility is one of the strongest features of ES1224 jump starters from Clore.With a turn of the knob, the ES1224 switches from 12 to 24 volts, without sacrificing a bit of power. 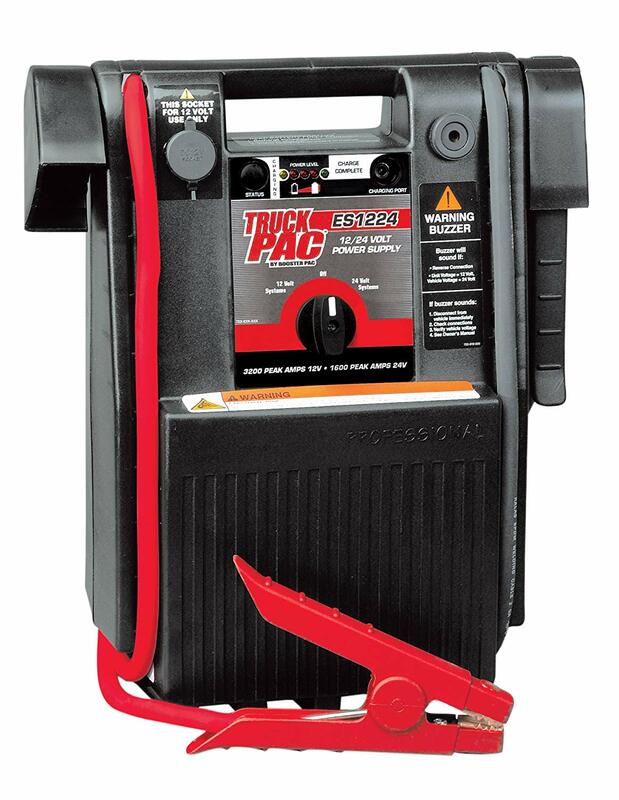 With a peak current of 3000 Amps and 1500 Amps at 12V and 24V respectively, the truck PAC gets the work done. Automatic recharging is possible and the ES series batteries are meant to get the jump start done easier and at prompt. The booster PAC weighs 40 lbs and has a cable length of 60 inches, with a cable gauge of #2 AWG. The jump starters work at conditions such as temperatures of -20 degrees Fahrenheit up to -115 degrees Fahrenheit. The “hot jaws” means that the industrial grade clamp jaw is live at both sides which ensures that maximum power is transferred to the vehicle. There is also a feature from AWS, known as the AWS advanced warning system included apart from the DC outlet for 12V devices to be charged. The warranty information can be availed upon request. Easily can switch from 12 V to 24 V and vice versa without power sacrifice. 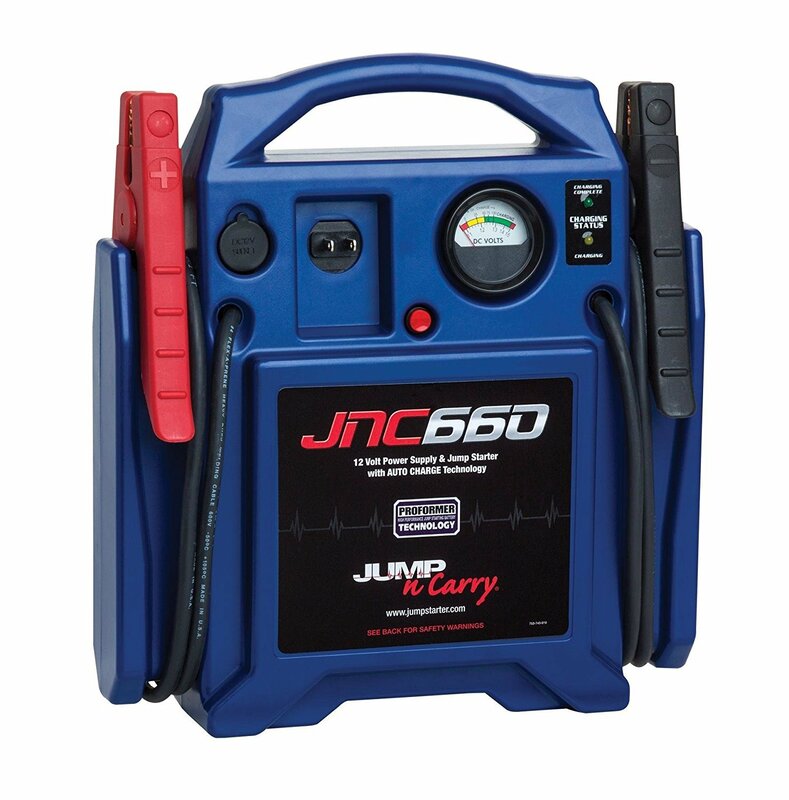 With a built-in charger and automatic type of charging, the Jump N Carry JNC660 series of jump starters from Clore has a peak current value of 1700 Amps. The proformer battery technology enables the battery to give a high power output, extended cranking power and long life. The jump starter has 46 inches insulated copper #2 AWG cables. The status of the onboard battery is displayed by the voltmeter. Weighing 18 pounds, the jump starter is made up of only robust components. There are ports to charge 12V devices. 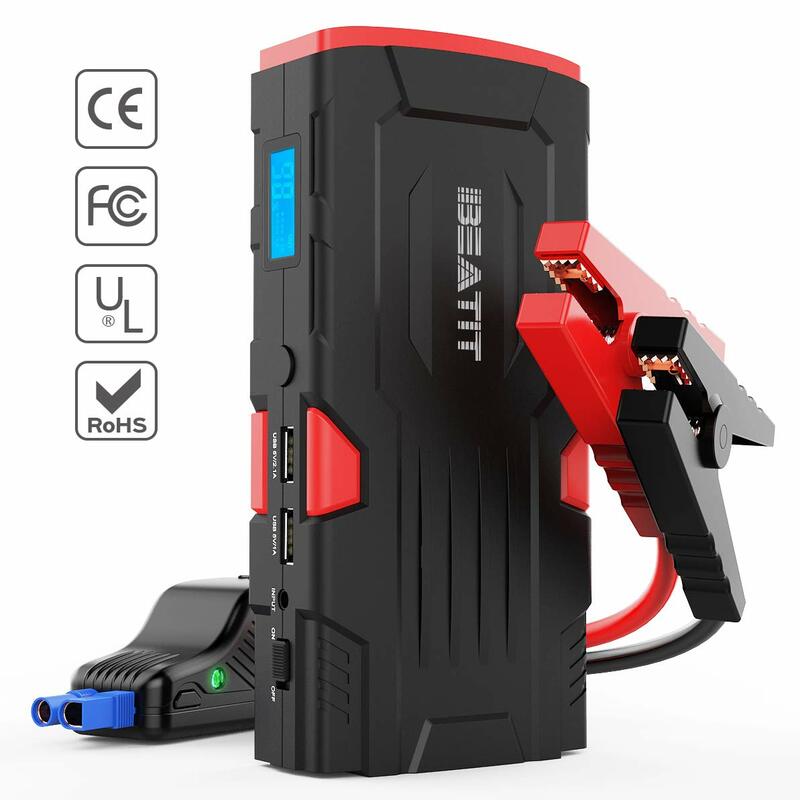 Just connect it to the vehicle, as the jump starter is always in the on position and it charges automatically. The case containing is impervious to any liquids, making it safer to use. When not in use, it needs to be charged every 30 days in order to maintain it’s battery life and performance. Warranty will be obtained upon request. Jump-N-Carry is unparalleled concerning power coming with 1700 peak amps. Therefore it can ignite even the large sized vehicles without failure. JNCAIR has highly powerful batteries designed to withstand high power propensity. That offers a great cranking power and long life. 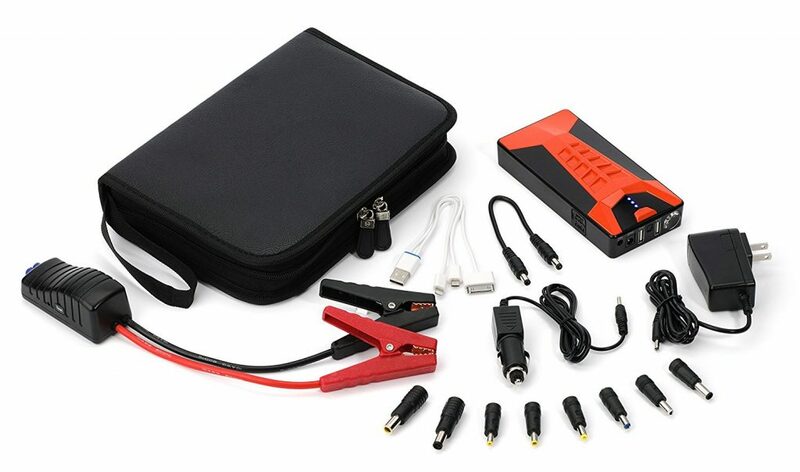 The jump starter comes with super-quality connection cables and clamps that offer a firm grip to penetrate even corrosive batteries terminals for proper flow of current to the vehicle. Even more, accompanying the starter is an air compressor comparable to an industrial air-delivery grade system. The compressor has a 12-foot pipe with a built-in air pressure gauge. The nozzle is pretty is easy to connect since the hose has a screw-on chunk. 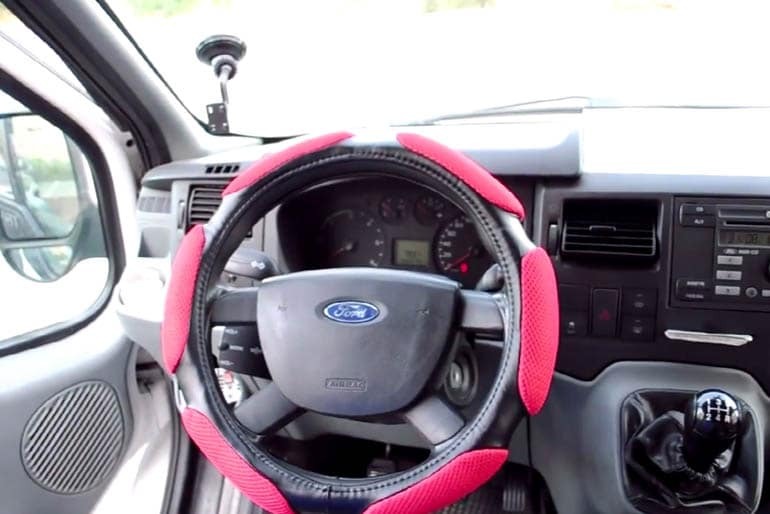 You can use it inflate your car tire within minutes. Also, this jump starter has a built-in charging mechanism for automatic recharging. To achieve this, plug your standard extension cord and it starts charging. One feature that sets apart this jumper starter is a mechanism that allows trickle charging. When the battery is full, it automatically stops charging. That means you can plug in your extension cord and leave it charging without worrying about the battery getting damaged. To enhance the stability of your jump starter, it features an extra-strength rubber boot. That means you can place it whenever you want as without worrying about it tipping over. 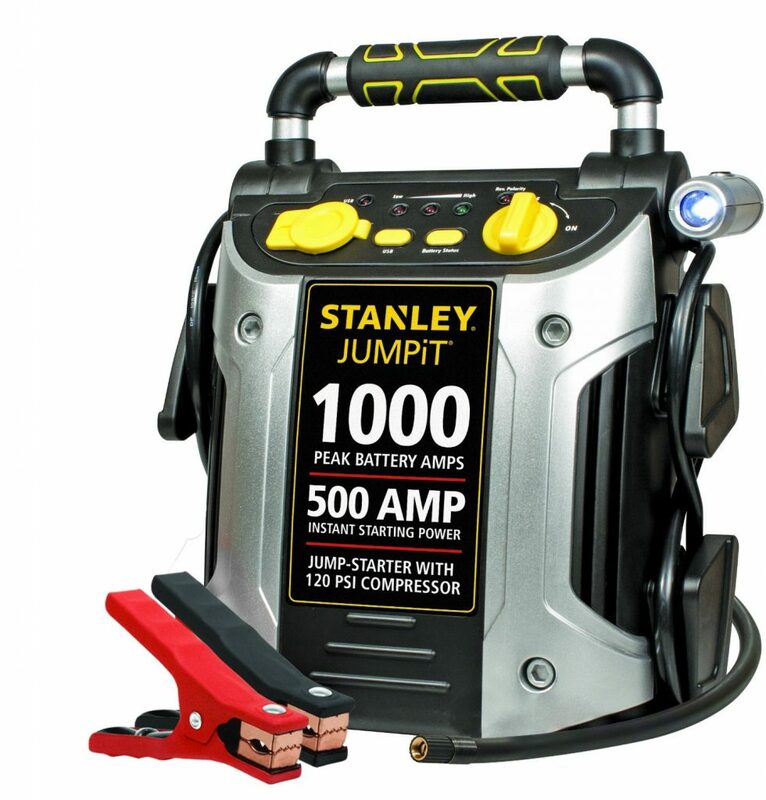 Stanley jump starter tops the list of the jump starters and is rated top on Amazon for its features and performance. You don’t have to get stuck and result to using a jump cable and another vehicle to jump start your car. Stanley guarantees you the best service ever. Stanley is has a 1000 peak battery amps. Besides, it is easy to connect and use and doesn’t require a professional. Once the unexpected happens, get the clamps hooked to the batteries. After that, you simply turn on the switch and then start your car once again. What if you happen to connect it the wrong way? Stanley is the safest and user- friendly jump starter you can find on the market. If you happen to connect it wrongly, it let out an audible sound alerting you to connect it to the right polarity. The jump start features 120 PSI air compressor with a brass easy to fit nozzle to allow you connect securely. The air compressor comes in handy when you want to inflate your tire and also others like sports equipment and bicycle tires. What’s more, charging this jump starter is as simple as ABC. With the standard household extension cord, plug it in and charge until the LED indicator light turns green. Do not fret when your battery goes flat in the dark. 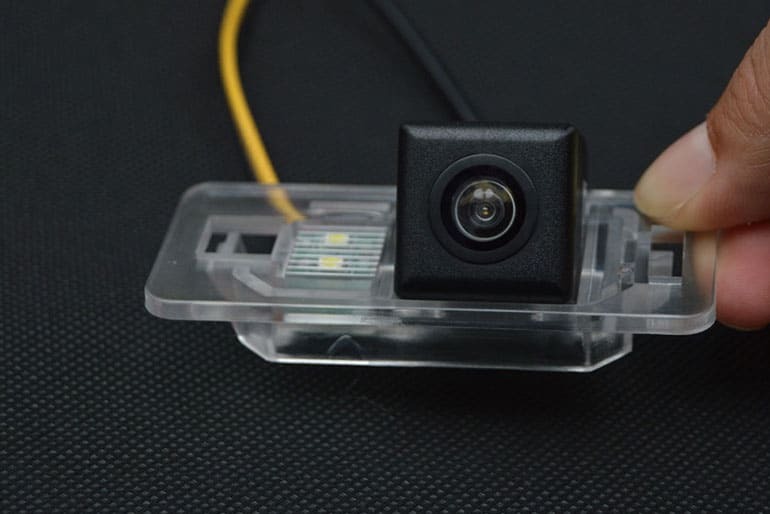 You can adjust the LED light to 270 degrees to give ultra-bright light where needed. Aside from jump starting your car, you can use it for other applications. Stanley features a USB power port and a 12V DC outlet that you can use to charge your phone and laptop when they go low on power. As such, power outages due to the weather will not affect you one bit. The battery does not support trickle charging and hence overcharging may ruin. 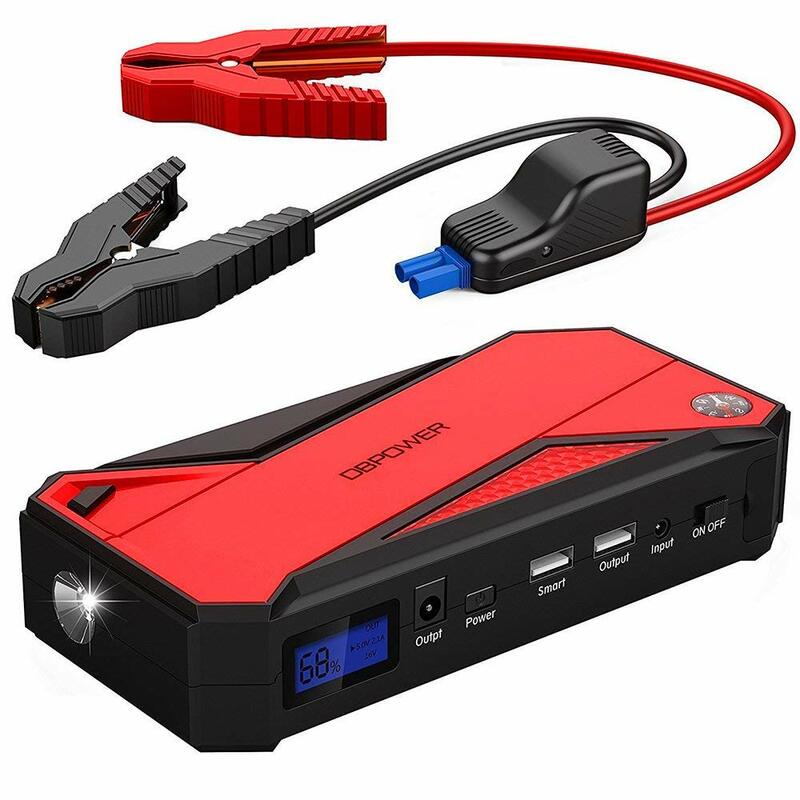 However, that should not be a great concern because it jump starter has a LED light that changes color to green warning that the battery is full. Size of Your Vehicle: The size of the car will determine the amps required. The large it is the more the amps needed. A typical small car may require at least 300amps to ignite. Accompanying components: It should come with long cables, alligator clips, and insulation. Portability: Portable units provide the best results. 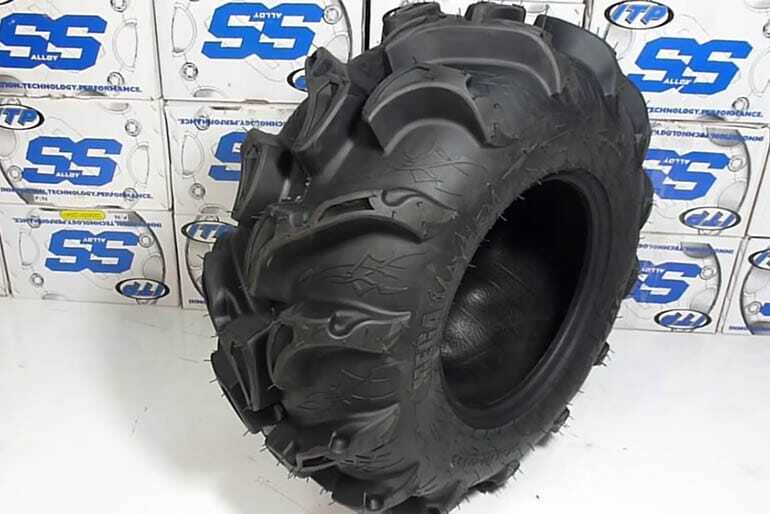 If you are frequent off road guy – consider getting a good ATV Tires. Conclusion: As a car owner, a jump starter is a must-have if you don’t want inconveniences. Not only are they is useful for jump-starting your car but also a source of power for your electronics too. And now that they are portable options on the market, you have no excuse but to own one. These reviews should act as your guide when shopping for your jump starter. Also check our guide on the best timing automotive lights for your car. An essential must have for frequent travelers.